With all of the straightening treatments, smoothing treatments, relaxers and keratin treatments you may be so confused as to what to do with your unruly, frizzy, unmanageable hair. Do you go for a Japanese Straightening? A relaxing treatment? A keratin treatment? And if so, which brand do you ask for? Well, I'm here today to tell you, that brand should be Rejuvenol. The Rejuvenol Keratin Treatments are like no other, and if you want amazing results that last more than twice as long as our competitor products for half the price, then you should be using our treatment. We know people use other treatments, we just don't know why! Just to convince you, I am going to list the reasons for you why you should choose a Rejuvenol Keratin Treatment over any other hair treatment. Why would you spend so much money on a treatment that is going to last you less than half of what they claim? If taken care of properly, Rejuvenol Keratin Treatments can last up to six months, and that's the truth. Out competitors claim their treatments last as long, but around month two, it seems that they fell off track. Towards the end of your treatment, you will notice that your hair is just as manageable, if not more, as it was in the beginning. With the use of our After Treatment Shampoo and Conditioner, you are extending the life of your treatment by adding Keratin to your hair with every wash. Other After Treatment systems do not contain the formula to help your treatment last, and some even have ingredients that will dissolve the keratin out of your hair! Want your treatment to work better, longer? Choose Rejuvenol. I don't even need to explain this one, better results, for more than half the price. Come on now, choose Rejuvenol. Unlike hair relaxers and Japanese smoothing treatments, our Keratin Treatments are not damaging to the hair. The way that our treatments work is that they coat the hair in Keratin to help straighten it out. In case you didn't know, your hair is made mostly of Keratin, so adding more keratin around each hair shaft is actually beneficial to your hair strengthening it. Our formulas are also enriched with ingredients that condition and strengthen the hair adding moisture to help create more manageable, healthier, shinier hair. Want more manageable healthier hair? Choose Rejuvenol. We recommend coloring your hair before you receive our treatment, the reason being, as the outer layer of each strand is coated in keratin, this locks in the color and helps it to last much longer than it would without the treatment. Not only does it help to make the coloring last longer, but it also can make the color appear more vibrant in the hair. Don't color your hair? Well, there are still benefits for you in getting the treatment. 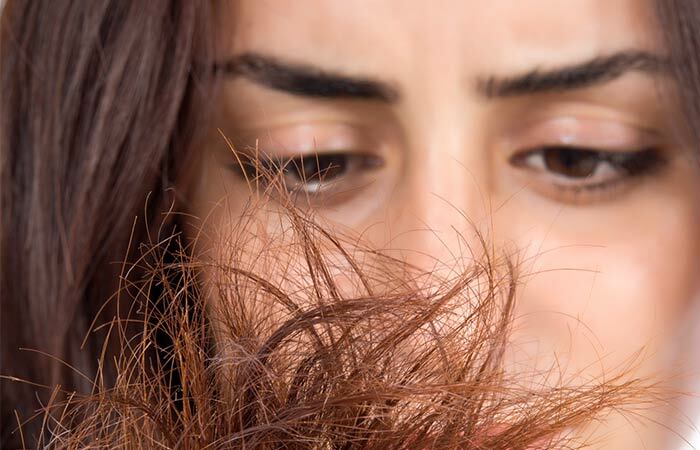 If you are someone that has hair that usually doesn't react very well to environmental elements, and your hair usually puffs up like a frizz ball in extreme humidity and rain, then our treatment can help you out. As I stated earlier, the treatment helps to coat each individual strand in keratin which means that it locks the hair follicle and doesn't allow any environmental forces in. This means less frizzy, more manageable hair. Are you ready to choose Rejuvenol? With 25 years of experience in Professional Hair and Skin Care Salon products, it's no shock that we have formulated the perfect combinations of ingredients for you to get your best #RejuvenolResults. There is an endless amount of happy customers who received our keratin treatment and keep going back for more. There's a reason why once someone picks Rejuvenol, they never choose another. Find out for yourself! We currently have eight formulated Keratin Treatments all of which do different things for your hair and the result. Let's run through all of them to learn more about each treatment. Rejuvenol Original Keratin Treatment: The most versatile of all treatments. Softens and relaxes frizzy hair and damaged hair will look shiny, healthy, and manageable. Rejuvenol Vanilla Keratin Treatment: Same treatment as the Original Keratin Treatment, but free of any and all Formaldehyde. Rejuvenol Chocolate Keratin Treatment: Same treatment as the Original Keratin Treatment, but with a delicious chocolate smell. Rejuvenol 1 Hour Keratin Treatment: The same level of relaxation of the Boosted Keratin Treatment, but the leave on time is dramatically reduced. Contains Argan Oil, flaxseed, cocoa butter, and other intensive conditioners that allow a faster penetration. Rejuvenol 24 Hour Keratin Treatment: A non-heavy sprayable treatment formulated for the client who doesn't want any residue on the hair. The same level of relaxation as the Original Keratin Treatment but with an instant lightweight appearance. Rejuvenol Boosted Keratin Treatment: For clients who want their hair 50% more relaxed than with the Original Keratin Treatment, with intense shine and manageability. Contains Argan Oil for a deep conditioning. Rejuvenol Veloz Keratin Treatment: Our fastest treatment! Enriched with Microspheres Anti-Frizz for the ultimate protection against humidity. Rejuvenol Level 6 Keratin Treatment: More straightening than any of our treatments. It is formulated with Baobab oil to help boost moisture on damaged or chemically treated hair. Hair will be restored to a healthy looking appearance, more manageable and frizz free. Don't believe us? Check out the #RejuvenolResults for yourself.